HOUSTON -- Sheriff's deputies in Houston acting on a tip from a caller Tuesday arrested a suspected serial killer linked to the deaths of three people in a violent crime spree. The caller spotted a Nissan Sentra that authorities had earlier said was being driven by Jose Gilberto Rodriguez, 46, a felon who spent decades in prison before being released last year. 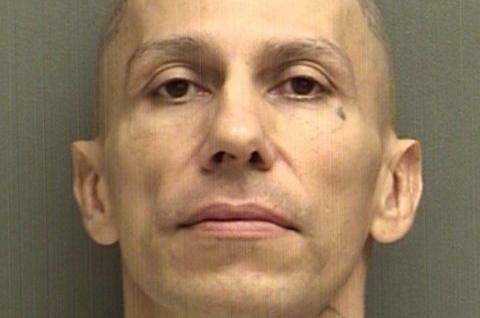 Houston Police chief Art Acevedo said Tuesday that Rodriguez had removed an ankle monitor several days before a July 9 home invasion robbery, the first in an apparent string of crimes linked to the parolee. Harris County Sheriff Deputy David Crane said Rodriguez is charged with two capital murder counts and a third is pending. Rodriguez is the suspect in the deaths of 62-year-old Pamela Johnson at her Houston-area home Friday; 28-year-old Allie Barrow inside a mattress store where she worked Saturday; and 57-year-old Edward Magana at another mattress store Monday, CBS affiliate KHOU reports. Police also want to question Rodriguez about the robbery and shooting of a Metro Lift driver early Monday, KHOU reports. The victim is being treated and is expected to survive. Harris County Sheriff Ed Gonzalez said there were "strong indications in each crime" that Rodriguez was involved but declined to elaborate. Authorities have not released further details of the crimes. They said Thursday items were stolen from each of the victims. Speaking Tuesday, Gonzalez praised the "professional takedown of a very dangerous individual" and said the deputy who made the arrest, Jorge Reyes, stayed "cool, calm and collected." The Harris County sheriff's office was notified about the tip about the suspicious car Tuesday and the deputy attempted to stop the Sentra but it sped away, according to Gonzalez. The car came to a stop after a chase lasting about 15 minutes and Rodriguez was taken into custody, he said. Reyes said he knew the deadly crime spree had left the community on edge. "When I left last night before my shift, I told my wife, 'I'm gonna catch him,'" Reyes said. "Sure enough, I did." Officials said at a press conference Tuesday they believe Rodriguez, whom they have called a possible serial killer, was looking to target someone else at the time of his arrest and may be linked to more crimes. The victims were apparently targeted at random, a sheriff's investigator said. Crane said the arrest came as "a great relief to all of us." "There was not much doubt in our mind if we didn't get him into custody, there was going to be more tragedy in this guy's wake," Crane said. A handgun was found in the suspect's car, which police say was stolen from one of the victims. Crane said Rodriguez was "stoic" and offered up no admissions or details as to his motive during an interview with police. The suspect's criminal history dates back to at least 1989 when he was charged with a variety of offenses that include attempted aggravated sexual abuse, burglary and auto theft. He was sentenced to 25 years in 1990, reports KHOU. While serving time in state prison, he was found to be in possession of a deadly weapon in 1992 and sentenced to an additional 10 years, according to the station. Rodriguez was reportedly released in September 2017 under a mandatory-release law aimed to combat prison overcrowding. He was required to wear an ankle monitor as a condition of his release, and a warrant for his arrest on a parole violation was issued earlier this month after data from the monitor indicated it had been tampered with, according to KHOU. Acevedo vowed on Tuesday to launch a task force to toughen enforcement for parole violators in Harris County. Acevedo criticized the tracking of parolee activity in the Houston area and said he would study the issue and recommend changes to the legislature. "Look at what these ankle monitors mean -- absolutely nothing," Acevedo said. "They cut them off and now we have three dead people." Officials on Tuesday thanked the community for the tip that led to the arrest and urged anyone with information to come forward in order to help them re-create a timeline of the suspect's movements.